As a National-Anarchist who believes in a fusion of Anarchist principles and racial separatism, I am always eager to distance myself from those ‘Socialists’ who advocate a propertyless form of nationalization (i.e., state-owned capitalism). Instead I support the redistribution of wealth in a more decentralist context. But let’s examine what was meant by “socialism” in the very beginning. 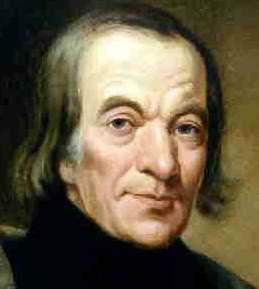 The first individual to use the term “socialism,” was none other than Robert Owen, in 1817, although he certainly had no sympathy with “attempts to foster class hatred”  and promoted the notion of a moral rebirth; a concept which most Left-wing historians — among them the late E.P. Thompson  — have found rather difficult to account for in their deceitful attempts to equate early Socialism with Marxism. Owen was born in Montgomeryshire in 1771 and, by the time he was ten years old, was apprenticed to a draper at Stamford. After working in London, he raised enough money to establish a mill in Manchester and, by 1800, had become a partner in a Scottish mill at New Lanark. In Owen’s view Man was ever the creature of his environment. But, so far from drawing the moral that men should leave these forces of nature to operate free and uncontrolled, Owen demanded that their emergence demanded conscious and deliberate regulation in the common interest. The new forces, he insisted, were not individual but social forces; they were replacing the individual producer, making a thing with the work of his own hands, by a collaborating group of producers, who must work together in designed harmony in order to achieve a good result. Competition was of the essence of the old order, and not of the new. The vital principle of this new industrialism must be Co-operation.
. . . utterly unmoved because he conceived of the world of politics as no more than an emanation from the real world of economic relationships. In this, though he proclaimed no Materialist Conception of History, he essentially anticipated Marx. At New Lanark, Owen — despite making his fortune — was only really interested in helping the poor and put his profits into a series of radical experiments. He was appalled by the inhuman working and living conditions of his century and, in 1813, published A New View of Society, which became the blueprint of the Co-operative Movement. In order to combat rising unemployment and the awful poverty suffered by the working classes, Owen proposed that the State, local authorities or groups of private philanthropists set up “Villages of Co-operation” based upon his own experiments at New Lanark, in order to find work for the poor and provide for their moral and material regeneration. Owen believed that such communities would serve as centres of social life, rational education and productive activity. He also maintained that they should be agricultural as well as industrial and, whilst being entirely self-supportive, should seek to trade with one another by exchanging surplus goods. This idea was known as “the Plan” and is the fundamental component of genuine Socialism and Co-operation. New Lanark was the springboard from which Owen’s Socialism was launched, and sweeping changes began to take place in and around the local community. For many years the poor had been living in filthy, cramped conditions, and Owen set about enlarging the houses of his workforce. Up until this time, local residents frequently dumped their waste in the streets, but Owen reorganised refuse collection and even built new streets. To ensure health, he urged his workers to appoint a visiting committee, which maintained the standards of cleanliness and domestic economy. Owen then directed his attention to the factory itself and, by seeking out those who had influence among the workers, slowly transformed their lives. It was said that “the childlike simplicity of Owen’s own character” made him increasingly popular. He refused to employ young children, limited working hours for adults and gave people better wages, even establishing a Co-operative store. In addition, Owen began to erect schools, playgrounds, and lecture halls where both children and adults could receive the finest education he could provide for them. In 1824, Owen had become so disillusioned with Capitalism and the English ruling class and its refusal to accept his new economic proposals, that he left for America. For five years, Owen attempted to establish a Socialist community at New Harmony in Indiana, but his efforts were in vain. Owen had contended that, for the first three years, the community should remain under his control and a Constitution was drawn up for this very purpose. However, such a Constitution involved elections and representative government, which many community members felt were opposed to the free-spirited principles of New Harmony itself. Eventually, there was a split in the community — albeit very amicable — which resulted in two separate groups of settlers. The community also became divided as a result of religious, social, and racial differences and, whilst Owen had mistakenly been led to believe that America represented a new world of universal brotherhood, he soon realised that natural developments were responsible for the fact that New Harmony gradually changed from a communal to an individualistic community.
. . . experience proved that the attempt was premature to unite a number of strangers not previously educated for the purpose, who should carry on extensive operations for their common interest, and live together as a common family. Owen soon became the leader of this growing support for Co-operation and, in 1834, founded the Grand National Consolidated Trades Union (GNCTU) in order to continue the struggle for better wages and conditions within the prevailing Capitalist system of his day. Despite acquiring half a million workers, the GNCTU lasted just nine months, due to a series of fierce differences between Owen himself and two of the Union’s most prominent members, Smith and Morrison. Robert Owen subsequently ceased publication of Crisis, and with the death of the GNCTU came the temporary demise of Co-operation itself. The anti-Capitalist agitation that Owen had helped to build up during the first half of the nineteenth century was soon conveniently (for the industrialists) diverted towards proto-Marxian Chartist movement. Charles Kingsley and the Christian Socialists managed to keep the Co-operative ideal alive to some extent, and retail trading along producer Co-operative lines was still being practiced in certain areas — like Carlisle, for example — but Co-operation was to slowly fizzle out until 1844, when the Rochdale Equitable Pioneers (REP) set up the first Co-operative store in Toad Lane.
. . . though Co-operators pay tribute to Owen as the founder of their system, it is more than doubtful whether Owen, if he could revisit the earth, would recognise his progeny, or take more than a passing interest in its growth. Owenism led on to consumers’ Co-operation as we know it almost by accident; the interesting question is how far consumers’ Co-operation in its further development will be led on to the reassertion of the Socialist principles from which it has sprung. Since these words were written in 1965, what most people regard as the chief exponent of “Co-operation” in the United Kingdom today — i.e. the Co-op supermarket — is in fact just another Capitalist conglomerate. In 1988, its total retail sales matched those of Sainsbury and Tesco, and today, the Co-op makes around £10 billion a year in profits and recently swallowed up the Somerfield chain, too. Although the REP began as genuine practitioners of Co-operation, they only concentrated on those principles which did not come into conflict with the existing Capitalist system. Today, the old Toad Street shop is a museum, attracting more than 7,000 visitors every year. Unfortunately, however, the museum represents little more than a smokescreen for the Capitalist businessmen of the modern Co-op industry, who frequently point to their “Socialist” roots. Sidney and Beatrice Webb used their influence in the Labour Party to turn British Socialists against them [Co-operatives], the demand for workers’ control of production was slowly squeezed out of the Co-operative Movement. Consequently it had to be re-invented with the Industrial Common Ownership Act of 1976, and there are people around who insist that experiments in that decade by the then Secretary of State for Trade and Industry in promoting Workers’ Co-operatives to take over dying industries, were introduced by the Labour Government of those years simply in order to discredit the Co-operative ideal. These words were certainly very accurate, and Owen does have much to offer us today, but he would hardly have approved of the Co-operative Bank and its usurious practices which, by 1993, the previous year, had earned its directors a cool £17.8 million in pre-tax profits. Today, modern Co-op supermarkets are just as exploitative and greedy as their rivals and far from “protecting the workers”, make great use of cheap labour. Owen was obviously far more of a reformist than a revolutionary political agitator — there is no question about that — but his pioneering ideas can still teach us a great deal today. Although Owen made some mistakes and was commonly dismissed as a “Utopian,” the main economic principles of “the Plan” still exist as part of an all-embracing economic program today. Indeed, a similar form of the program is practised by the Mondragon project in the Basque country, an initiative which involves the manufacturing of products as diverse as machine tools and cookers, furniture and car spares. In the European Union, meanwhile, around one million people are employed in over 50,000 Co-operatives, many of them based in northern Italy, where they are encouraged with government funding. There are over 1500 in the British Isles, too, where over 10,000 people work in Co-operatives. 1. The Concise Oxford Dictionary (Guild Publishing, 1982), 1006. 2. A. W. Palmer, The Penguin Dictionary of Modern History (Harmondsworth, Essex: Penguin, 1978), 244. 3. E. P. Thompson, The Making of the English Working Class (Harmondsworth, Essex:Penguin, 1991), 864-65. 4. G. D. H. Cole, The Life of Robert Owen (Frank Cass & Co., 1965), 4-5. 5. Cole, The Life of Robert Owen, 11. 6. Cole, The Life of Robert Owen, 105. 7. Robert Owen, ed., New Harmony Gazette, vol.3, 204. 8. Cole, The Life of Robert Owen, 29. 9. James Morrison, ed., The Legacy of Robert Owen, The Pioneer, March 29, 1834. 10. Cole, The Life of Robert Owen, 304. 11. Clive Woodcock, “High Street’s Sleeping Giant Stirs,” The Guardian, May 28, 1994, 37. 12. Colin Ward, New Statesman, June 17, 1994. 13. Martin Halsall, “Commercial Miracle Was Inspired By ‘Guru for the 90s,’” The Guardian, May 28, 1994, 37. 14. Norman Smith, “Peace Dividend,” New Statesman & Society, June 17, 1994, xiv. 15. Robert Owen, A New View of Society (Everyman’s Library, 1963), 298.